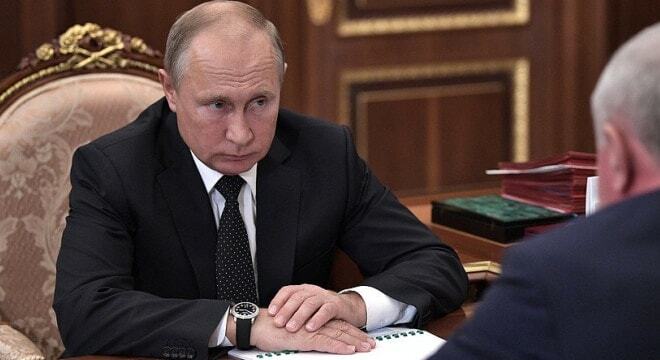 Putin’s remarks came just days after lawmakers in the upper house of the Russian parliament stressed there was a need to strengthen regulations on guns and ammunition in the country in the aftermath of a mass shooting at a school in the Crimea that left 20 dead. The perpetrator in the shooting was an 18-year-old college student who legally purchased a pump-action shotgun the month prior to the event. Russia already has strong controls on legal firearms, mandating that rifles and shotguns — handguns are illegal for the public to own — be registered to licensed gun owners who must submit to a series of background and medical checks that have to be renewed every five years. Besides a gun registry, it is mandated that rifle owners submit test rounds to a central cartridge registry as well. Additionally, there are regulations on the number of guns that can be owned, where they can be shot, how guns are stored, and requirements for gun owners to pass regular tests on firearm laws and safety.